This product is mainly used for softening hard water and preparing pure and high purity water. In addition, it is used in separation and purification of trace elements as well as hydro-metallurgy and pharmaceutical industry. provide a high purity, premium cation resin designed for the treatment of foods, beverages, potable waters, and water used in the processing of food. 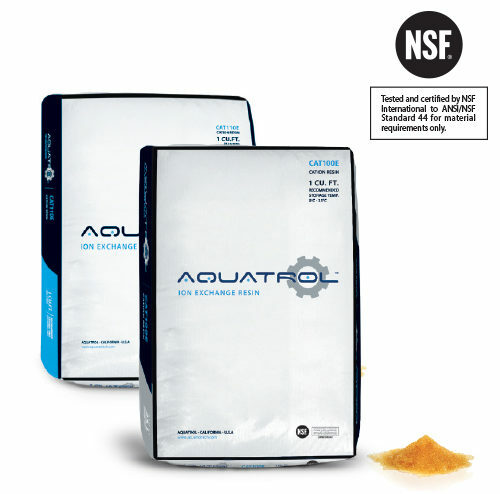 Aquatrol MED-CAT100E & MED-CAT110E resin are a high grade resin which complies with the U.S. Food & Drug Administration (USFDA) CFR 21, Title 173.25 for use in the treatment of foods for human consumption. have excellent hydraulic characteristics for optimal flow rate and backwash flow rates. Its high capacity and porosity characteristic provide exceptional kinetic behavior along with good physical, chemical and thermal stability. 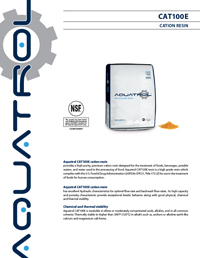 Aquatrol MED-CAT100E & MED-CAT110E are insoluble in dilute or moderately concentrated acids, alkalies, and in all common solvents. Thermally stable to higher than 248°F (120°C) in alkali’s such as, sodium or alkaline earth like calcium and magnesium salt forms.